Hello Dave! Welcome to I Smell Sheep. We are going to talk about your newest project coming out in Oct, some of your previous works, your job at Action Lab Entertainment, and some uncomfortable personal stuff! Dave: Twists and turns, for sure! Cyrus is a supernatural crime noir that toggles between murder mystery and hybrid buddy cop comedy. At its core it’s about realizing that life is fleeting, and while death could be just around the corner, it’s what you do in the here and now that matters. Sharon: What kind of guy is Cyrus? Dave: Cyrus is a sort of an old school Blaxploitation kind of character. He’s super cool. He’s lived his life on a wink and a smile. He has a rhythm to his speech that is really fun to write. Sharon: I just read issue #1 and the reader gets a good feel for what kind of guy Cyrus is. He is the person you want living next door to you. I would so bring him and Iris Christmas cookies every year. Dave: Yeah, they are a super cute couple! Definitely the types you’d want to hang out with. Sharon: What kind of music does Cyrus listen too? Dave: Al Green, Marvin Gaye, Bill Withers… the sounds of the street, really. He’s not into new stuff. He’s a bit of a throwback himself, you dig? 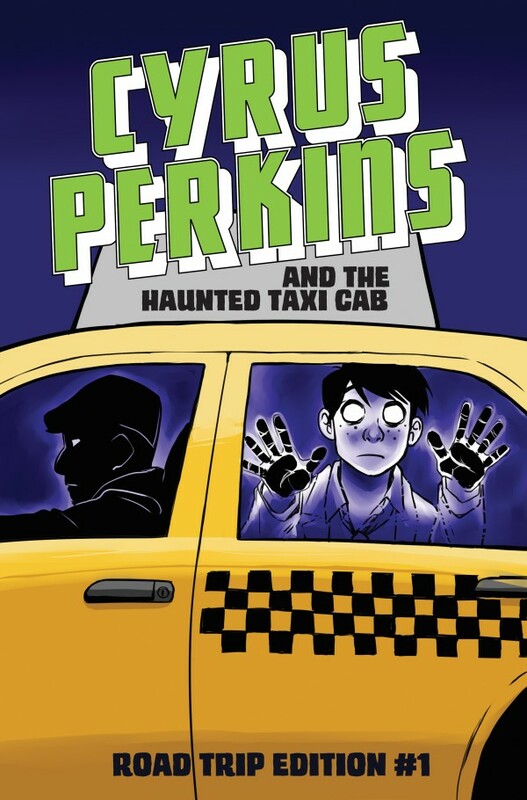 Sharon: How long has he been a cabbie? 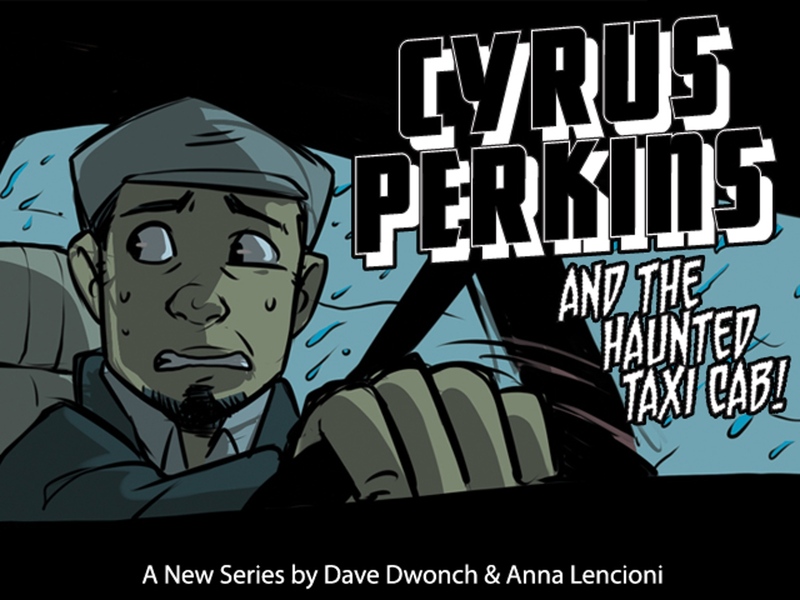 Dave: Cyrus became a cabbie in college, which turned out to not really be his thing. He dropped out junior year, and never looked back. He met his girlfriend Iris a couple of years later, and she’s been patiently waiting for him to figure out what he wants to do ever since. She’s a bit of a nurturer. Sharon: What is one of his guilty pleasures? Dave: Cigarettes. There’s a running joke through the series as he tries to hide them from Iris. I wasn’t trying to be preachy with the series but it becomes pretty clear that they are a crutch, and actually become a part of Cyrus’ shift in priorities as the story unfolds. Sharon: You are the Creative Director for Action Lab/Action Lab Danger Zone. What is the secret to coordinating so many people/areas to make one great comic? Dave: It’s a little like herding cats sometimes. Hero Cats, even! I kid. It’s actually quite easy most of the time. We publish creator owned books for the most part, so they are left to their own devices. We don’t jump too far down the editorial rabbit hole, unless they ask us to. 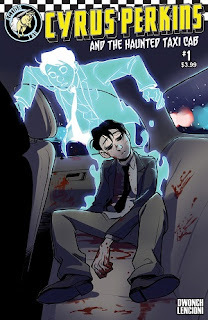 Sharon: What is one of the strangest comic ideas someone submitted to Action Lab? Dave: We have a folder called “The Creative Spirit” that houses all the crazy pitches that come through our inboxes. Really terrible stuff. We try to give as much advice as possible, but there are some real head scratchers that come though. I really am not a fan of crushing dreams. For that reason I can’t divulge details! Just imagine strange, the turn the dial WAY up. Sharon: Do you guys give some type of response to everyone who submits? Dave: We try to respond to everyone who submits, but sometimes it can take months. We are swamped with submissions! Sharon: I’ve been a fan of Action Lab/Danger Zone comics since the beginning! You guys put out some amazing quality work. What separates ALE from all the other comic presses out there? Dave: I think that we started this thing wanting to push the boundaries. It’s a bit of a mission statement. We’ve taken risks that most publishers wouldn’t. We’re interested in building a library of excellent books so that our creators can stand shoulder to shoulder with each other knowing that they are keeping company with the best in the business. Not sure if that’s different from other companies, but sometimes it feels like it. Dave: When I was a kid I had an Art Adams X-Men poster that was colored by Linda Medley. 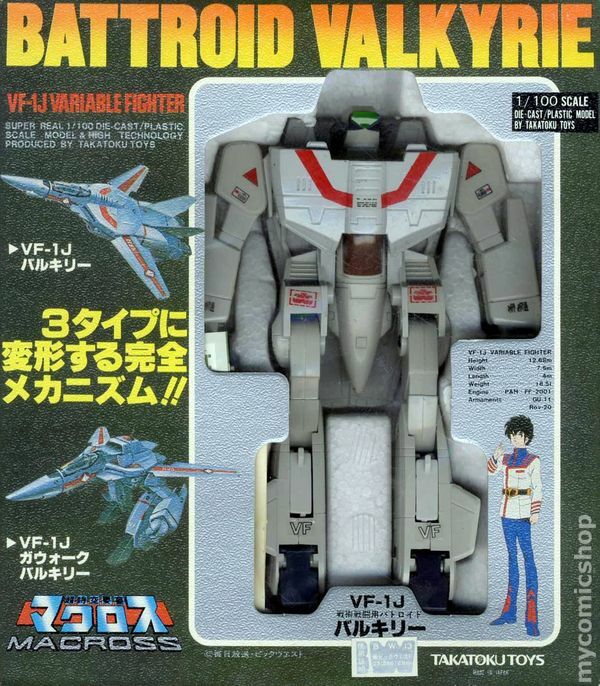 If I could own the original, I would plotz! Sharon: Which comic book character would you like to switch places with for a week? Sharon: It was really hard digging stuff up about you…but we are still waiting on the background check and blood results to come back <G>. I did find out you live in the East Bay Area of CA. Got any earthquake stories? Dave: It’s not so bad. The big ones don’t happen all that often. It’s the traffic that’s a killer! Sharon: How do you deal with the traffic? Audio books? Music? Dave: I do my best writing in traffic! I don’t have a ton of personal time to devote to my projects, so I live in my head on the long trips to work. I have a few choice Pandora stations that help keep the juices flowing when the traffic is not. Dave: My fiancé are all about travel right now. We’re headed to Beirut and Athens next week! We’re still trying to figure out where we want to end up. We’ve been tossing around the idea of opening a B&B in Tahoe… or Croatia. Sharon: Congrats on the engagement! Is your fiancé involved in the comic world too? Dave: She is a writer and photographer (go check out https://www.etsy.com/shop/BadBallerinaPhoto), but doesn’t really live in the comics world. She is super supportive. She edits my scripts, helps at shows, and tells me when I’m way off course! 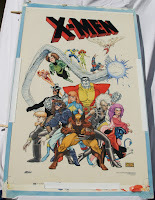 Sharon: What is your favorite piece of nerd memorabilia you own? Dave: Easy. 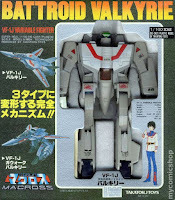 I have an original 1983 Macross Super Armor Valkyrie Fighter still in the box. Bought it way back in 1985! Sharon: This is the Year of the Sheep. Share with us a way sheep have made your life better or worse. Dave: I’m going to be a little self-serving here, and say that my life has been enriched by a comic we have coming out called “Just Another Sheep” by Mat Heagerty and JD Faith. It’s a wonderful, powerful book set in the summer of ’69, and is about a kid on a road trip to figure why he is different from the rest of the flock. Sharon: O_O You aren’t pulling my wool here are you? That is too cool. Please hook us up when the time comes. Would love to review that one. Dave: I definitely will! That book is really great! Dave: I can’t say it’s the best movie ever, but highly enjoyable! Sharon: Live in a video game or live in a book? 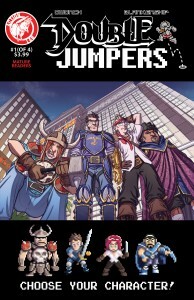 Dave: Read “Double Jumpers” for the answer! Dave: Nice! That book was a lot of fun. I’m actually writing the sequel right now. Sharon: sitcom or drama series? Sharon: Got a favorite right now? Dave: Oh, man. That’s a tough question. Arrested Development is my all-time fave, and I’m excited to see Wet Hot American Summer. Sharon: High as the mountain or deep as the sea? Sharon: mountain hike or beach stroll? Dave: Mountain hike. We are huge hikers. Sharon: BUT, if you had to pick one… Katie (my site partner) and I are at war over this. Time to lock and load and pick a side! But I will cry if you pick the wrong side…just saying. Dave: Diet Coke. It’s just better! 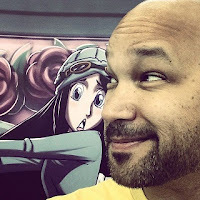 Dave Dwonch has been a comics writer and artist producing indie titles for over a decade. In 2010 he founded Action Lab Entertainment with fellow indie mavericks and as Creative Director for Action Lab helped produce several of their titles including the Eisner nominated series Princeless. Recently he penned several titles, most notably Vamplets (with Gayle "My Little Pony" Middleton), Ghost Town, and CBR's Top 100 of 2013 series Double Jumpers.